Introducing a brand new collection from Cartoon Folk Artist Miss Mindy. The artist has a very whimsical and unique take on the world and her design aesthetic is shown in these new classic Disney figurines. 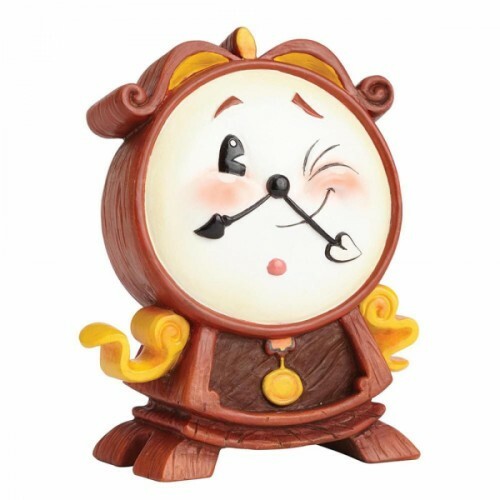 Cogsworth from Beauty and The Beast has a matte brown wood effect body and a shiny face. Unique variations should be expected as this product is hand painted. Packed in a branded gift box. Not a toy or children's product. Intended for adults only. Approx 10cm H x 5.5cm W x 8.5cm D.